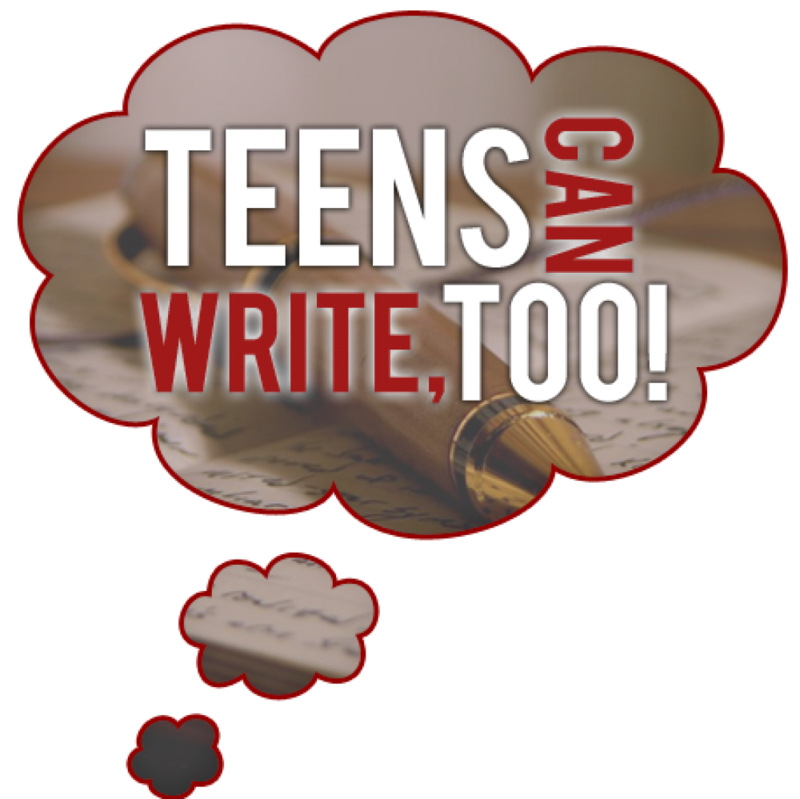 If You Had An Agent At 15… | Teens Can Write, Too! You know what’s awesome? Only about nine months after this post initially went live, this author sold her debut to a major publisher, and now it’s only a few months away from being out in the world. This just boggles my mind, and it gets me so excited for the future of YA publishing if more and more teen writers are able to share both their stories and their unique insight into the world of high school. So to give you some background: when this post initially went live, the author was fifteen years old and already had an agent (but hadn’t gotten the book deal yet! ), and she was just so normal and awesome that I had to get her on the site. After all, we sometimes hear stories of teen authors being published (which, as it turns out, isn’t so rare), but they don’t always feel like us. They feel like mere exceptions to the rule, you may think, a few lucky ones who hit it big. And that’s where this interview comes in. It proves that, the thing is, there are tons of teens you don’t hear about who get agents and book deals every day, who are completely normal (or, I mean, as normal as a writer can get, amiright? ), and who write books so fantastic that they don’t need the “young author” marketing to sell copies. 1. So you’re only fifteen and you already have a literary agent. When did you begin writing seriously? How long did it take you to write your agented novel? Let’s see. I began to write seriously when I moved from St. Louis to Wisconsin in 8th grade (and yes, it’s every bit as awful a state as everyone says). I think it was the culture shock that drove me to write—I couldn’t handle moving from a town of four million of people to a town with seven thousand. (By the way, our mall? It’s a joke. No Forever 21. No H&M. No Charlotte Russe. I died when I walked in there…um. Excuse my girl rant). Also, my school’s education system is…not stellar. My transcripts had gotten messed up when I moved, so I ended up retaking Algebra I, being put in an 8th grade science class instead of Biology, and taking a regular English class instead of an Honors. Which meant that the Projected Hours of Homework section on my Master Calendar went from three hours to about thirty minutes. 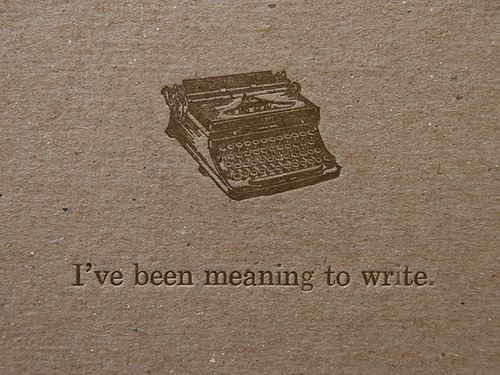 Up until that point, writing was something I’d always wanted to do but never had the time (or the patience) for. Well, now I had the time (and listening to cows moo all day long tends to teach you to be patient. Even though it. Never. Ends). My first novel was written almost entirely by hand, in a notebook fondly named Ricardo (stop judging me),which still sits in my desk. Frankly, his contents are crap. But Ricardo got me started, and I found, strangely, that I couldn’t stop. My agented novel, WILDFLOWER, was written during the summer of my freshman year. Subsequent rewrites (thirteen) and revisions have taken me up until now. 2. For anyone unfamiliar with agents, can you tell us about who they are, what they do, how to get one, etc.? Sure! Basically, your agent is your doorway into the publishing world. But he or she is also your contract finagler/negotiator/payment tracker/adviser/inside person/cheerleader/fan. She keeps track of trends in the publishing world, probably has lunch with this or that editor every other Friday, and knows inside details about publishing that you almost certainly don’t. He or she is superhuman in every sense of the word, and flies around the city at night saving manuscripts from bad book deals and slush piles. 3. Any advice to other aspiring teen writers? Don’t let anyone tell you that you can’t do it. Ever. Here’s a little story for you: I guess I have a pair of cliché genius parents (a nuclear physicist dad and an actuary scientist mom) with cliché expectations (as in, I’m supposed to major in law, medicine, or finance. Or all three). When I started spending three plus hours per day writing, my parents were…not happy. I wrote my novel and researched the industry and found an agent entirely on my own. I mean, I love my parents to death. But they didn’t exactly encourage me to, you know, write a book. 4. Can you tell us a little about your querying experience? How long did it last, how many agents did you query, how did you decide which ones to query, how did you write your query letter, etc. etc.? Oh, gosh. This might be a rather confusing and long-winded answer. I began querying last June, with no experience, no one to look to for advice, and essentially no idea what I was doing. My first query letter was…well, crap. I sent out over forty queries and only got about seven partial/full requests. I was devastated. But one of the agents I had queried had sent me a very, very nice rejection letter, and on a whim, I sent her a reply asking if she would be interested in seeing revisions. She said yes. So I got to work. I spent the next two months in deep seclusion, and I emerged from my closetcavecocoon with what was essentially a new manuscript. My plot had changed, my characters had changed, my title had changed…you get the idea. I started querying again in late January with a much better idea of how the industry worked. I sent outline query letters. Within a week, I had four full requests. Within two, I had an offer (I got the email when I was supposed to be working on a project during my history class. I kind of yelped and fell out of my chair when I read it. And then I had to tell everyone that I’d found a super exciting piece of information on Haiti’s government, as if I weren’t enough of a nerd already). 5. What was it like getting The Call? I seriously spent that entire afternoon pacing around our living room and talking to myself. Our school’s sectionals basketball game was that night, but I ended up blowing that off because, let’s face it, THE CALL was approximately a billion times more important (and we lost anyway). Since I had planned on going, I’d asked my agent to call around seven that night, so I had to wait in agony for hours longer than I needed to. When my phone finally rang, I jumped and fell out of my chair (again) and screamed “OH MY GOD, IT’S AN AGENT,” and answered the phone. I was so excited and jumpy and nervous that one of the first things she asked was, “Did you just get home? Should I call back later? You sound a bit out breath.” In reality, I was just breathless because I was so. Indescribably. Excited. …And that, boys and girls, is why I’m a writer, not a public speaker. Sadly, I’m not exaggerating at all. I still turn beet red when I think about that. 6. How has working with your agent helped you grow as a writer? What do you see for yourself in the future? Well, for one thing, my agent was the first person that really read my novel. I’ve always been painfully shy about my writing; literally, I can count on the fingers of one hand how many people know that I’ve written a book, much less the people who know I’m seeking publication (I don’t recommend this, by the way—having a good critique partner is absolutely vital). Having an agent has made this entire process a lot more real for me, if that makes sense. Like, in a see-mom-and-dad-I-told-you-I-wasn’t-just-wasting-the-time-I-should-have-been-using-to-study-for-SATs kind of way. As for the future…um…I’ll probably be having ribs for dinner and then going to a graduation party? I don’t know. Planning is for squares. Obviously, I’d love to get a book deal someday. I want to double major in Creative Writing and Genetic Pathology (either that or neuropsychology. Or architecture), but…again, that “planning” thing isn’t really my forte. Very inspring post – thanks Amy! And thanks to John too, for hunting her down, haha! I love that you’re ‘normal’, Amy (well, as normal as writers can ever be). I’m in school, obviously, and I do a lot of extra curricular activities, and yet a lot of the writers I meet online are homeschooled and have hours a day to write if they want to – so I’m glad to find someone else who isn’t! Ha ha ha, oh, I can imagine you getting the ‘Call’. I’ve never had anything half so exciting but I was in my school concert when Mark (mine and Charley’s co-author/publisher) sent around a piece of news about St Mallory’s, the book we’re writing with him, and I had to leave the room so I could hop around dancing. A few people gave me weird looks. Amy– I love your voice!! You are amazing. I’d love to meet you in person. I’m confident that you will sell many books in your lifetime. If that’s what you want. If I were an agent I’d want to represent you too. You made me laugh and gave me inspiration. John– great interview. 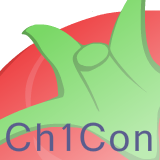 Can I post this at my blog (giving you credit of course)? It will inspire so many other writers young and old. I object to that comment about Wisconsin! I liked it very much for the… one week that I stayed there… You know what, never mind. This was a very helpful post, John and Amy. Thanks! Thanks for commenting. Glad it was helpful! Hey, I value my education VERY much. I mean, it’s not like I’m ever on my phone in class. Or drafting during Human Anatomy and Physiology. Or editing during Chemistry. Are my comments finally working? Yes? No? Ugh. Technology. I logged in with my Twitter because nothing else was letting me post comments. Anyway, thank you all for your comments! This was a lot of fun. I’m glad you enjoyed it. Wow, it’s amazing that she got an agent! 😀 She kinda reminds me of me; I don’t really like a ton of other people knowing that I like to write, and all that. Anywhoo, congrats! This entry was posted on June 8, 2012 by Michael Waters in Published Teens, teen authors and tagged agented 15-year-old, agented teen writer, how to get an agent, teen agents, teen authors, teens get agents, teens with agents.